Opened in 2017. Newly renovated in 2017. Opened in 2017, the Huaruihe Hotel is a great accommodation choice in Changsha. With Changsha Railway Station just 6km away and Huanghua International Airport only 27km away, transportation is very convenient. Being just minutes away from Middle Xiangjiang Road Metro Station allows guests to explore the city with ease. Guests will find Huogongdian, Former Residence of Jia Yi and Taiping Street just a short distance from the hotel. When guests have some time on their hands they can make use of the onsite facilities. This Changsha hotel features parking on site. According to our guests, the location of this hotel is one of the best around. This hotel is a popular accommodation for guests traveling for business. 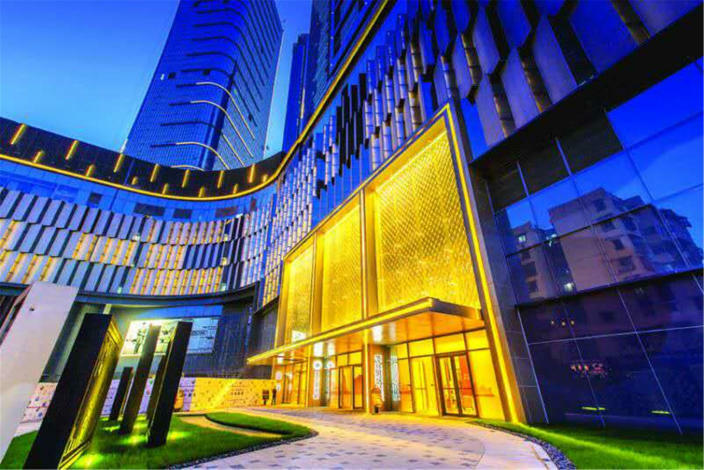 This hotel is one of the most popular choices in Changsha.